Cowboy boot in taupe sanded cow leather by Lane Boots from T..
Red leather western boots made of cow leather with graceful ..
Western boot for women with a square toe, made in cowhide le.. Cowboy boot of camel coloured suede. From the 1883 collectio..
Brown leather western boots made of cow leather with gracefu.. Handmade leather cowboy boots in shades of brown with variou.. 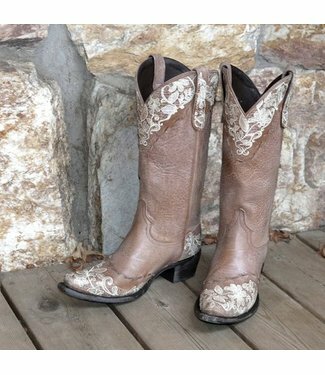 Cowboy boot in light brown leather Jeni Lace by Lane Boots. ..
Western boot in olive color for men by Lucchese Heritage, Te..
Black leather western boots made of cow leather with gracefu..
Black classic cowboy boot for women made of calf leather wit.. Cowboy boot for men from the Lucchese 1883 collection. Handm..